A student has shared the time she was drug tested (voluntarily) at school, only to be given a false positive. Former student Rachel was asked to take a voluntary drugs test by her mum, after she was acting weird. Rachel's school did these tests themselves, so that's who ended up conducting it. Unfortunately, the school gave her false positives for meth, heroine, thc and barbituates. 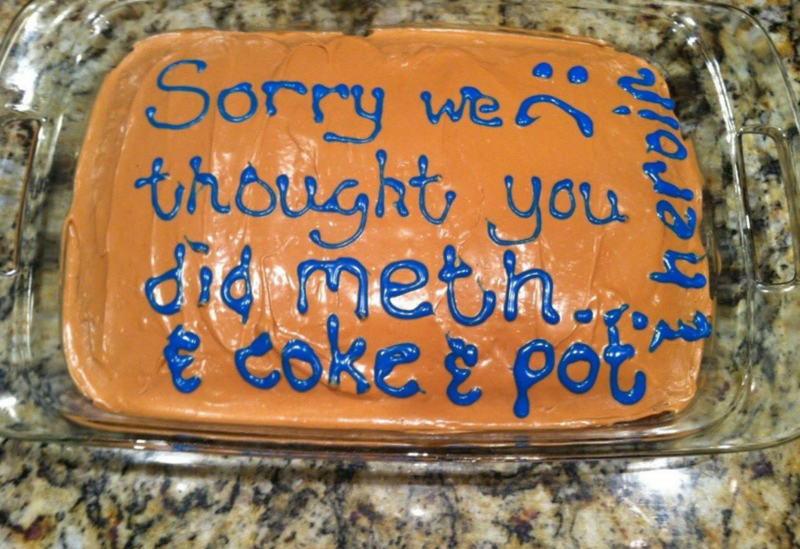 ...Leaving her now red-faced mum with no other option other than to bake a "sorry we thought you did meth" cake. 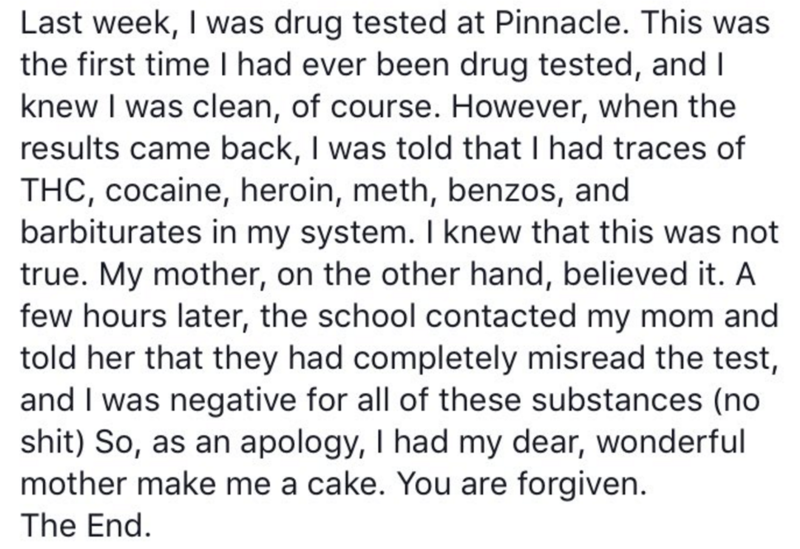 Rachel seems to think that a cake more than makes up for her mum immediately assuming she was into heroin, meth, cannabis, barbituates and benzos. She's less forgiving of the school. Maybe the school should send a cake.